We have all heard the old saying that beauty comes from within, and that is especially true for the plus-size woman. It’s not that plus-size women can’t be beautiful on the outside, because many of them are. But it’s a sad fact that many plus-size women don’t feel beautiful on the outside and lack plus size confidence. How you look impacts how you feel, and how you feel impacts how powerful you are at work and at play. If you are not delighted with your outward appearance that makes you feel less powerful. So what are you supposed to do in the midst of the journey, while you are becoming, while you are working to help your outside match your inside? Shrink and hide from the world? I think not. It’s important to constantly reach within to connect with the things that make you feel incredible and unstoppable. Some say the work on the ‘inner you’ is more important than the work on the ‘outer you’. Have you ever known someone who was physically beautiful but…. you can finish that sentence. I bet you have. Having beauty that comes from within means that you have attributes that are magnetic and draw people to you. When people find you attractive from a deep place, you will automatically seem to be (and will feel) more beautiful on the outside. The first thing that a woman needs to feel beautiful and powerful is kindness. When I say kindness I mean being nice to people and looking at things in a positive light. If a woman is negative, she’ll usually have a frown on her face, which isn’t very attractive to others. On the other hand, when someone has a kind spirit, you can see it in the glow on her face and in her eyes. She’ll have a smile on her face that gives you a hint about who she is inside. This is the type of woman that is a joy to be around. This principal is the same for a plus-size woman; when she is kind to others and kind to herself, that impacts how she views the world, and how the world views her. A sense of humor is something that can make a woman feel more confident. It’s always good to look at the funny side of life or to find humor in mundane things. If you can’t think of something every day that’s funny, look harder. 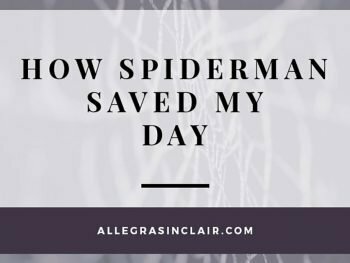 I recently blogged about the power of laughter and it’s important to make sure that is a part of your regular routine. Haven’t laughed in a while? Watch the Big Bang Theory–I dare you! If you can watch my favorite nerds and not laugh, we need a personal coaching session. (Knock, knock, knock, Penny!) Read a funny book, listen to a classic comedian on CD. You get the idea. If your funny muscle needs a workout, develop it and see if that doesn’t give you plus size confidence, whatever your size. Every woman has something that she is good at no matter what it is. To that end, she should spend time nurturing her talents and skills. 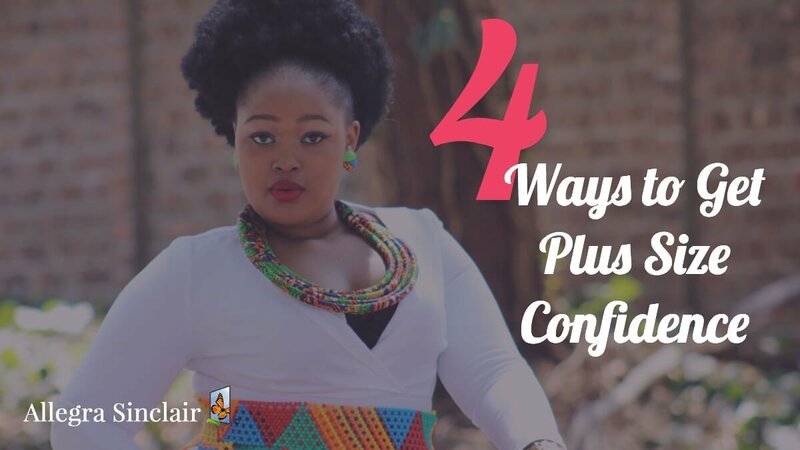 This goes a long way in building up a person’s confidence, and in making you seem more beautiful from the inside out. When you talk about the things that you are passionate about or that you’re interested in, you inevitably have a different energy and a twinkle your eyes that is very attractive. Don’t focus so much on your current state, invest time in creating the person you want to become. 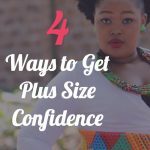 One more tip to help develop plus size confidence is not to sweat the small stuff. It might sound cliche, because it is, but there are many things in life that people, particularly women worry about that at the end of the day simply aren’t that important. Every day is a new day to start over. Instead of wasting time and energy worrying about the past, accept that you can’t change the past, and then work on your future with intention to create the tomorrow you really want. I want to give you permission to stop apologizing for wherever you are in life and let the bolder, more confident you come out to play. What did I miss? 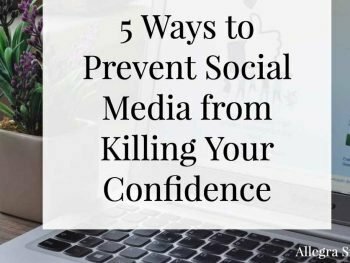 What else boosts your confidence? Let me know. I BELIEVE THIS WAS A ABOSUTLEY AMAZING ARTICAL TO HELP GIRLS OUT I AM 17 YEARS OLD PLUS SIZE GIRL AND I AM INTRESTED IN BECOMING A PLUS SIZE MODEL SO THIS HELP WITH MY CONFIDENCE THANKS FOR HELPING GIRLS OUT! THERE HAS TO BE A MOMVEMENT WITHIN OUR COMMUNITY AND IT STARTS WITH US THANK YOU!!!! !